Peaks and Valleys Landscaping has been in operation for over 10 years. 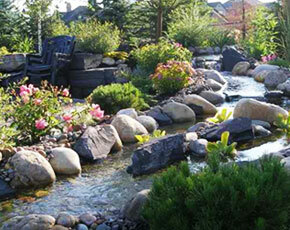 We specialize in residential landscaping as well as commercial property maintenance in and around Calgary. Peaks and Valleys is a member of both LANTA (Landscape and Nursery Trades Association) and SIMA (Snow and Ice Management Association) and is fully licensed and insured. Our staff is comprised of landscape professionals with a focus on team work, workmanship, quality and customer satisfaction. We have been creating unique and natural landscapes for over 10 years. 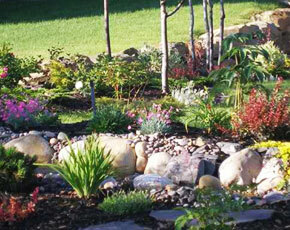 Our team of landscapers has the experience and vision to turn your property into a spectacular outdoor living space. 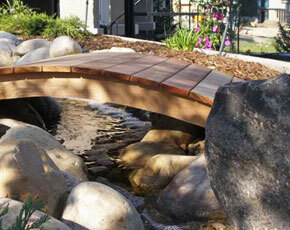 Peaks and Valleys takes pride in finishing your landscaping project on time and on budget. At Peaks and Valleys Landscaping, you will work exclusively with the owner who works hands on with the crews on every project. Attention to detail is essential in all areas of our work, and our job is never complete until you are 100% satisfied! All of our services fall into one of our major service categories, but here is a list of just some of the more specific services we can provide for you. © 2019 Peaks & Valleys Landscaping. All Rights Reserved.